The city’s black aldermen say they are fed up with a lack of contracts and jobs at Chicago’s two airports going to blacks and city legal work continuing to go to predominantly white law firms. 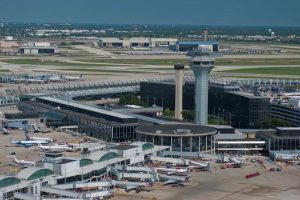 In a show of support at the Sept. 14 City Council meeting, black aldermen nearly derailed the issuing of $3 billion in bonds for O’Hare International Airport. With three aldermen recusing themselves from the vote because of financial dealings with the Chapman & Cutler law firm, picked to coordinate the bond sale, the vote was so close that Mayor Rahm Emanuel refrained from the getting the final vote tally until Ald. Gilbert Villegas emerged from a back room and cast an “aye” vote. The proposal passed 26-21, the minimum vote count required for passage of legislation in the 50-member voting body. The three aldermen recusing themselves could not be counted as “yes” votes. Dowell said there has been $123 million paid out to city airport-related contractors this year and only 28 percent, or $34 million, has gone to minority firms. She said just 8 percent of the Chicago Department of Aviation’s work has been awarded to firms owned by blacks. 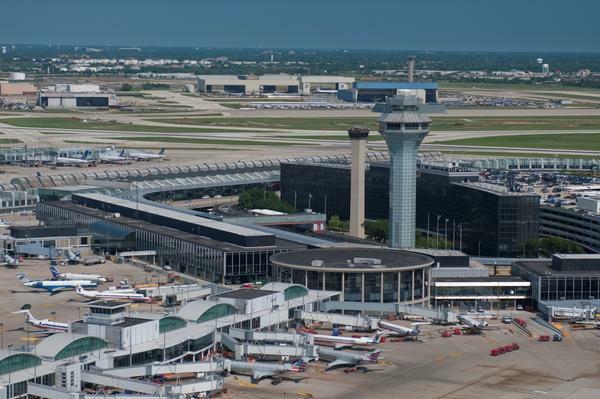 “In addition, the diversity in the department staff is severely lacking, especially when you look at the staffing at Midway Airport and also the direct reports to the commissioner (of aviation),” Dowell said. She said firms like Chapman & Cutler that are looking to do bond business with the city are also lacking in diversity. Dowell said she was pleased to hear that the Aviation Department has agreed to meet quarterly with a host of council members to address diversity issues with contracts. She said it is also encouraging to hear that staff in the mayor’s office will convene federal lawmakers to discuss what the city can do to increase minority hiring. Also voting against the measure were Aldermen Deborah Mell, Susan Sadlowski Garza, Milagros Santiago and Scott Waguespack. Recusing themselves from the vote were Aldermen Edward Burke, Roderick Sawyer and Patrick Thompson. Hairston said the city needs to be a generator of jobs and business for the black community. Hairston, a lawyer, said she is battling for equal business opportunities for herself and other blacks just as when she earned her law degree 26 years ago. “It’s a shame that I have been practicing for so long and (the issues) are still the same,” she said. Taking a swipe at Chapman & Cutler and other predominantly white law firms, she said something has to change.